* STOP SEARCHING! ~ IT’S ALL HERE! 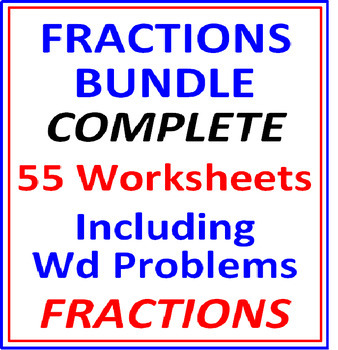 * THIS HUGE BUNDLE of 55 full worksheets covers EVERY AREA of fractions from beginning to end INCLUDING WORD PROBLEMS!! Your ENTIRE UNIT is covered! * * GREAT BARGAIN! SOLD SEPARATELY ALL THESE ITEMS WOULD = ABOUT $40.00! 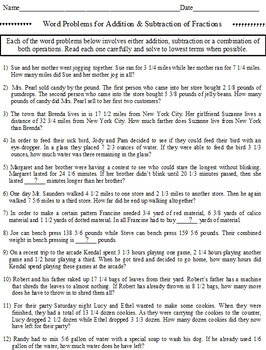 Page 55 : Decimals & Fractions MATCH! 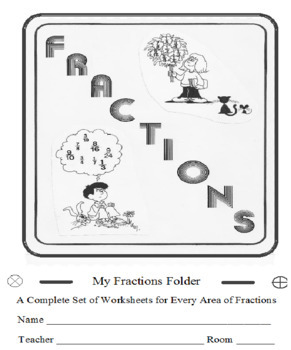 * Includes an “ICAN” checklist for fractions so students can “check” their progress with each objective. * Also includes a Cover Page for the students if so desired. * YOUR DOWNLOAD OF 90 PAGES INCLUDES ANSWERS. * * NOTE – these pages are sold individually as well. DO NOT DOUBLE BUY! 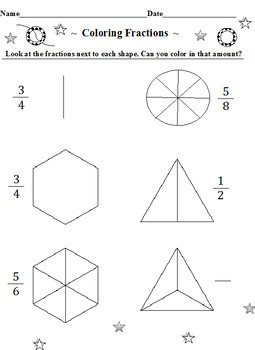 All worksheets are designed and decorated by David Filipek.